Create a casual yet sophisticated living room with this generously cushioned stationary sofa. 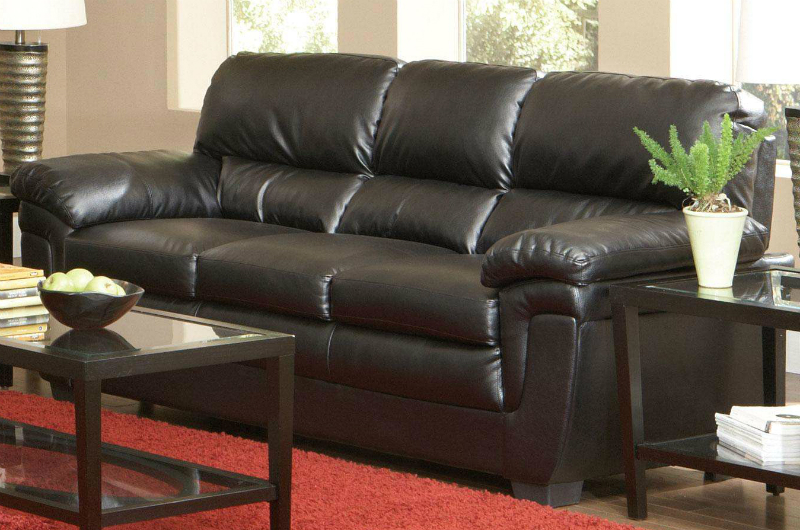 Sleek leather-like fabric is durable to last for years without losing appeal. High split back cushions and wide double pillow arms allow you to sink in for ultimate comfort. 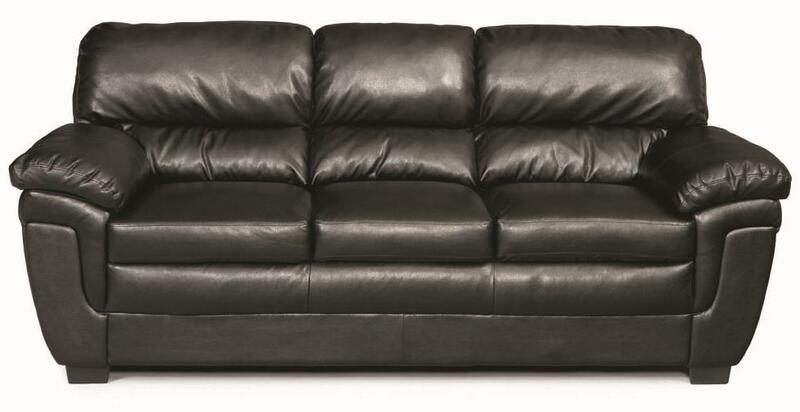 Exposed block feet and high resilience foam seating ensure this sofa is built to bring you long-lasting support. 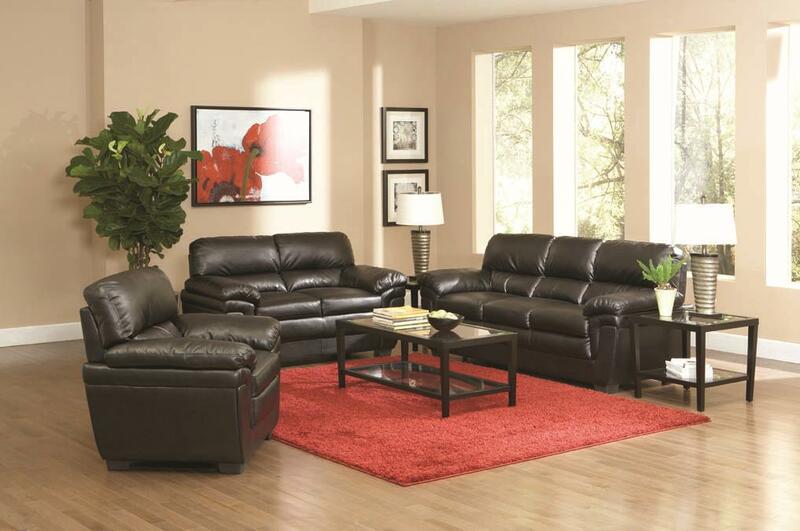 Match with the love seat for additional living room seating.